Fairway villa overlooking Oyster Bay Golf Links- Two bedrooms/two full baths/Non-smoking - Pet-friendly (Dogs only) - Non-refundable pet fee will apply , 4 Double beds, cable television (2 TVs), DVD, central heat & air, washer/dryer. Villa features an open floor plan with adjoining kitchen, dining and living areas. 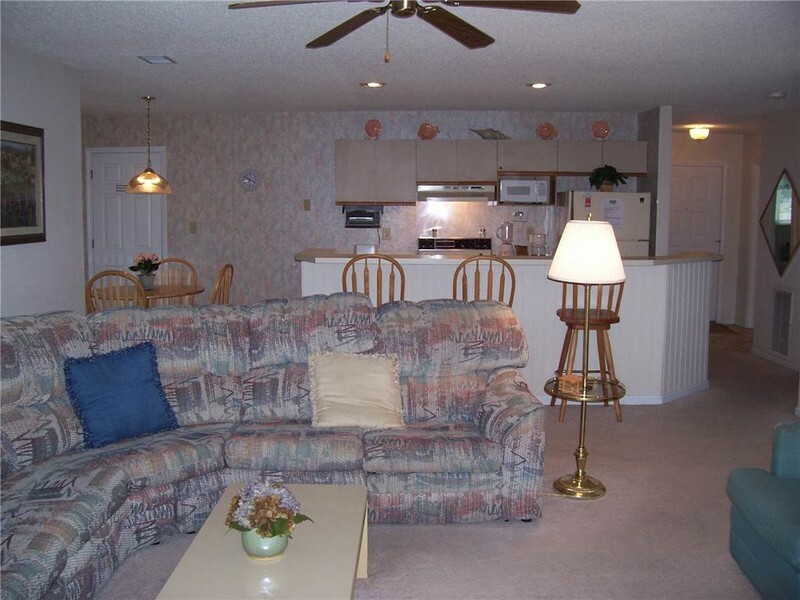 Kitchen is fully-equipped with dishwasher, microwave, coffee maker, blender, toaster, full-size refrigerator and range. Private screened deck and patio accessible from living room and bedroom areas. Community pool, hot tub, charcoal grills and tennis courts on site Complimentary linens, towels and departure cleaning service. Copyright © 2019 Sloane Realty Vacations. All Rights Reserved. On your mobile device? Too busy to book now?